There are times in one’s youth when money burns a hole in your pocket. When you’re a teen boy with such a condition, you might simply be compelled to encourage your mom to drive you to the cool comic book store. Heck, you might as well make an adventure out of it, wrestle your sister and her friends out of their cozy chat corner, and make them go with you. Yup, that’s exactly what you do. 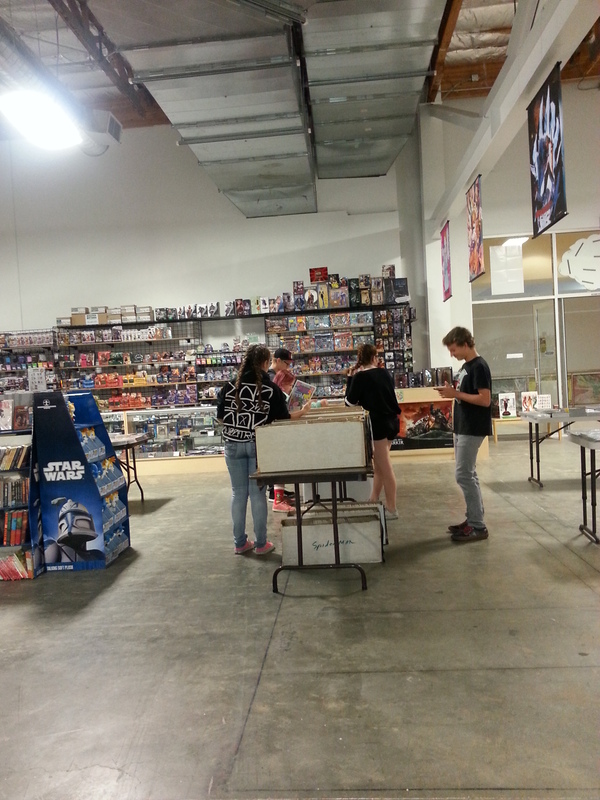 Look through large tables stuffed with comic books of all kinds. What happens when you find exactly what you’re looking for? Well, herd everyone together who have wandered off in different directions, load them in the car, and wait patiently until you can climb onto your bed and read the aforementioned comic books to your heart’s content.